In today’s world of “rock around the world” with ease, discovering the “newest” place diminishes with each added flight and cruise destination. 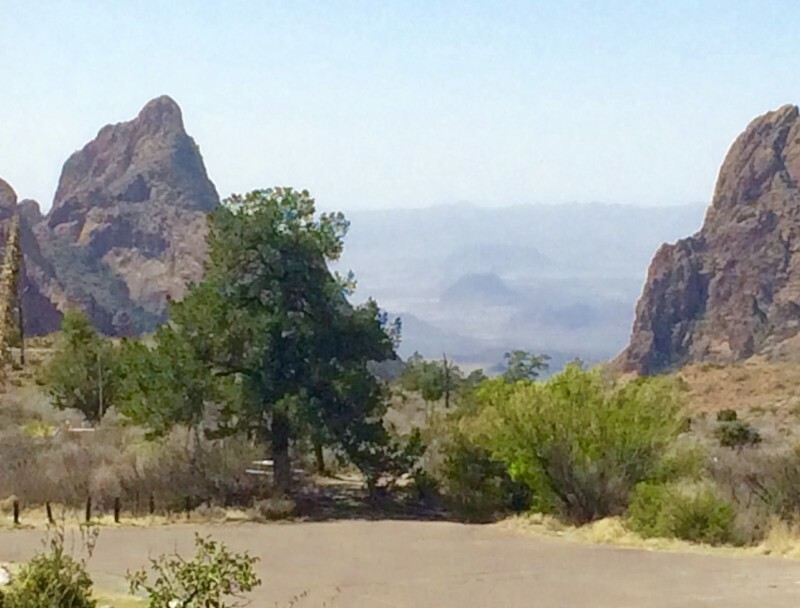 Imagine discovering a park in Texas, Big Bend National Park, tucked into a southwest corner of the state. Snugged up against the big bend of the Rio Grande, the river defines the park’s southern border with Mexico. This little known park of over 800,000 acres goes from an elevation of 1,800 feet to nearly 8,000 ft. With the entire Chisos Mountain range within the park, the addition of the river and the Chihuahuan Desert gives explorers 3 ecosystem diversity and ever-changing outdoor wonders to experience. 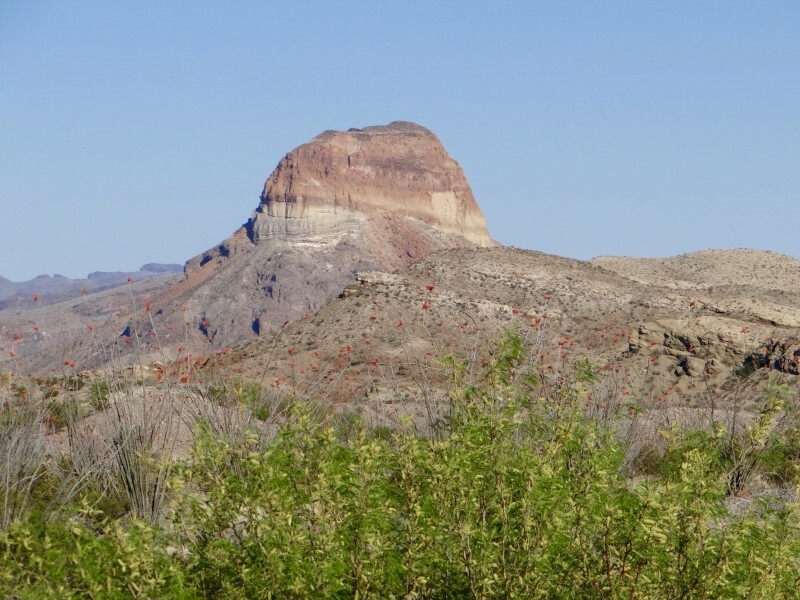 Located in Brewster County, the largest county in Texas with the smallest population, an adventure here satisfies that “discovery” urge! Some might say that the desert is desolate. A knowledgeable professor once told us about having a flat tire while traveling through the desert. 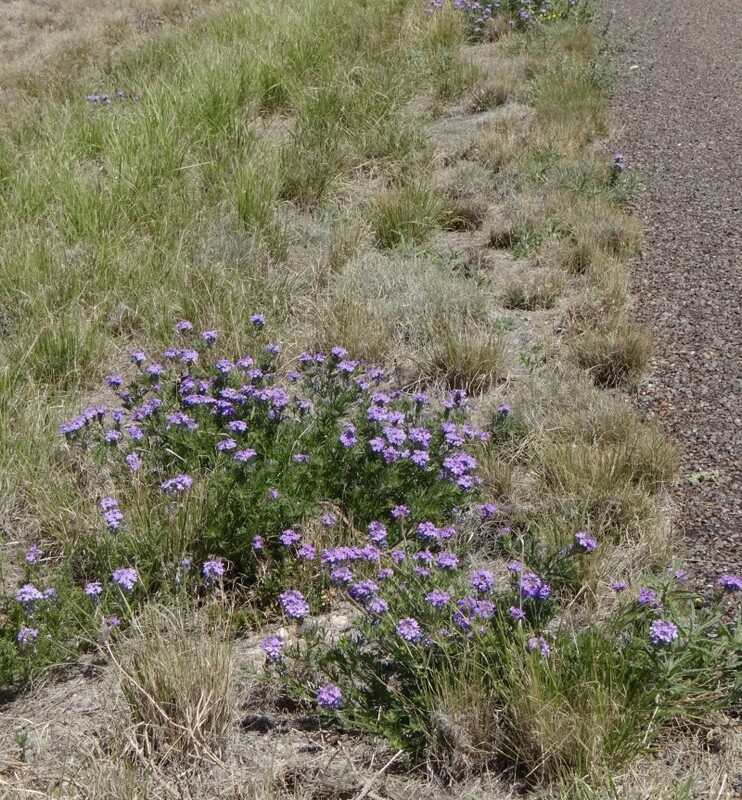 He said there is nothing like “Break-down Botany,” the opportunity to take time to look closely at the ground and see and discover what the desert reveals. 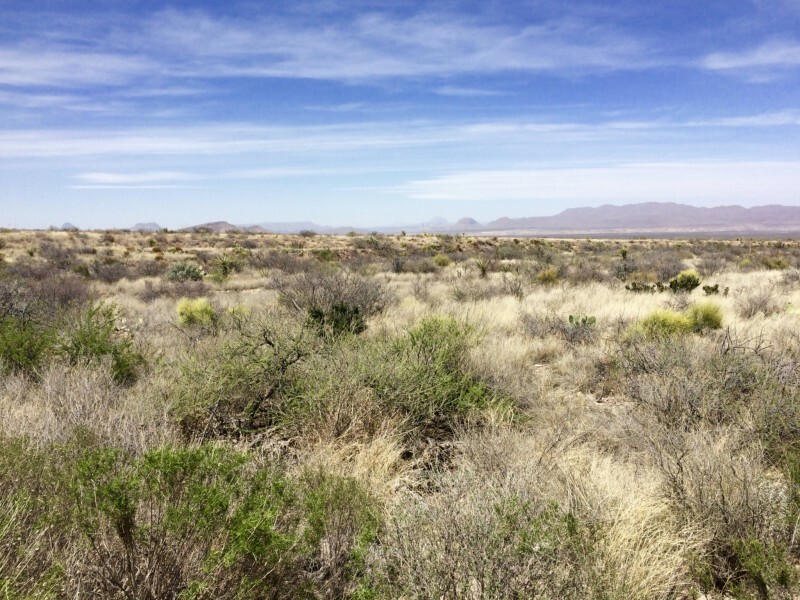 We’ve evidenced this ever since, in Arizona, New Mexico and now in this magnificent Texas park, bigger than the size of Rhode Island. 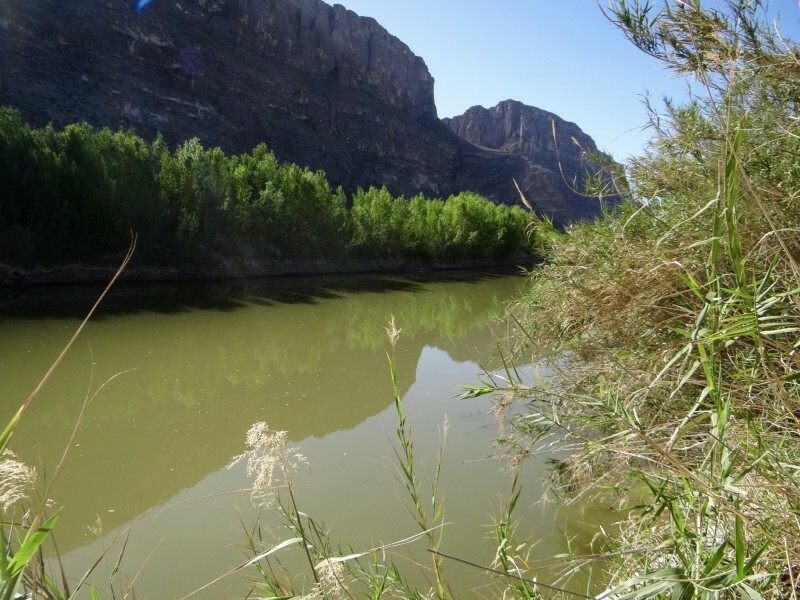 Big Bend offers excellent walking paths, day hikes, backpacking, camping, drives through the park for sighting marvelous vistas which we loved, plus rafting and exploring the Rio Grande River. 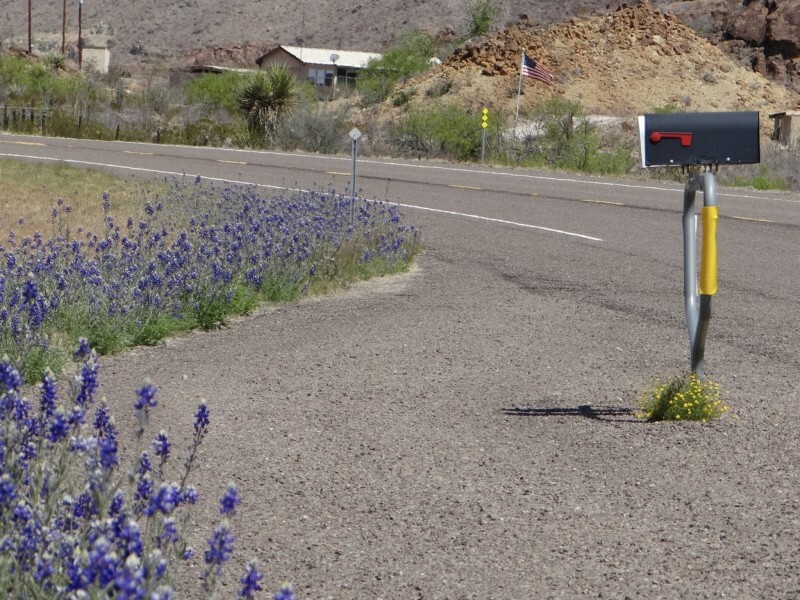 The park is well maintained, well marked, with visitor centers, gas stations, camp stores, RV hook-ups, a lodge with a restaurant (fantastic views) and gift shop. One of the park’s best-known features, Santa Elena Canyon, is where the Rio Grande River has sliced its way through a towering limestone canyon wall, the wall being half in the United States and half in Mexico. 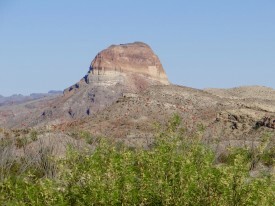 Throughout the park are varieties of trees: piñon pines, junipers, mesquites, oaks, cottonwoods, aspens, Douglas fir, Arizona cypress and bigtooth maples. 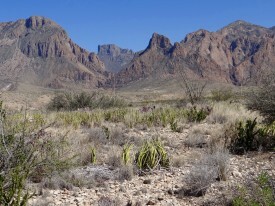 The Chisos Mountain terrain is the only US habitat for the Chisos oak and the weeping juniper. Birders and other wildlife watchers know that the greatest number of species often are found at the ecotone (the transition area) between adjacent ecological habitats. 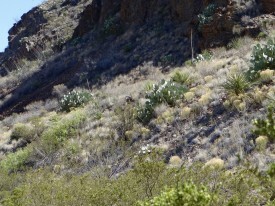 The park’s varied ecotones, formed by river, desert and mountains, result in an outstanding diversity of wildlife. 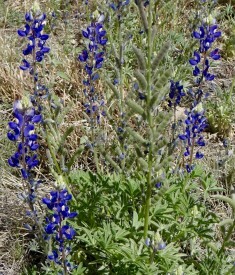 Over 1,200 types of plants thrive side by side with black bears, mountain lions, javelinas, coyotes and rattlesnakes. Many species here are at the extreme limits of their ranges like the Mexican long-nosed bat. 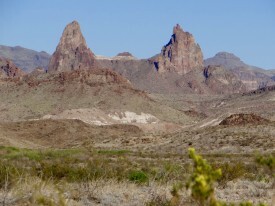 The story goes of a woman who wanted to charm a man, asking him to go birding in Big Bend. 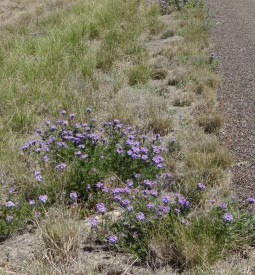 They drove into the park which is a major migratory path making it a year-round paradise for birds. Since she had suggested touring the park, of course he thought she was a birder. After learning which end of the binoculars to use, she started seeing birds in a way she never imagined. 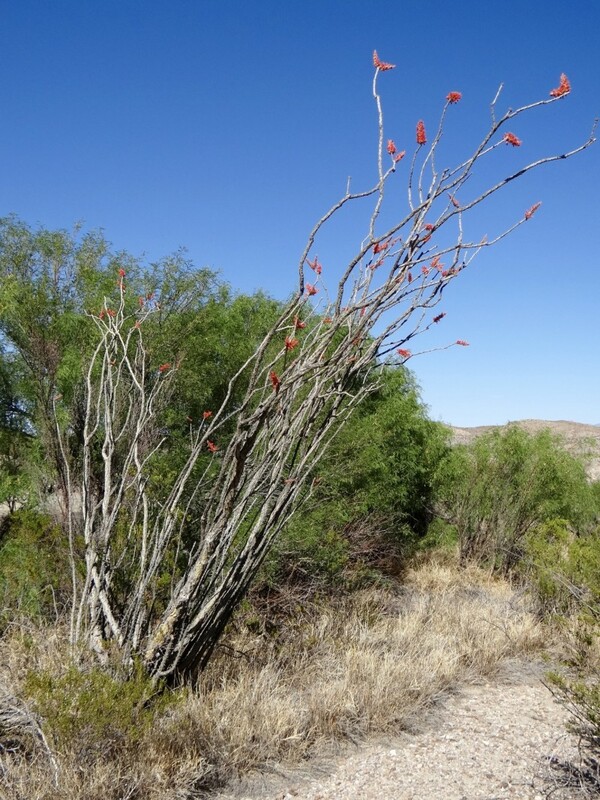 Discovering the Colima warbler, Big Bend’s specialty bird, then big birds, small birds, flashes of red, yellow, blue, she found she was looking at the birds more than the man. She married the man a few years later. 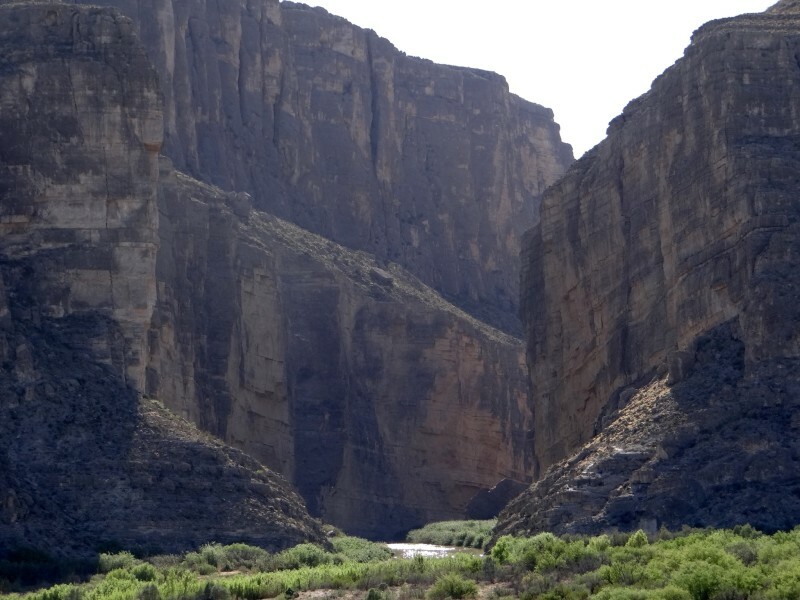 They now plan their actions around birds after the lady came to Big Bend to find a man and unexpectedly found passion in more ways than one. 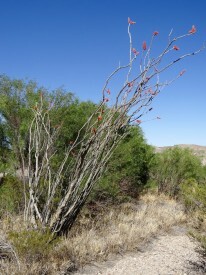 A woman hiker said at first she thought the ocotillo bushes were uninteresting long sticks with spikes. 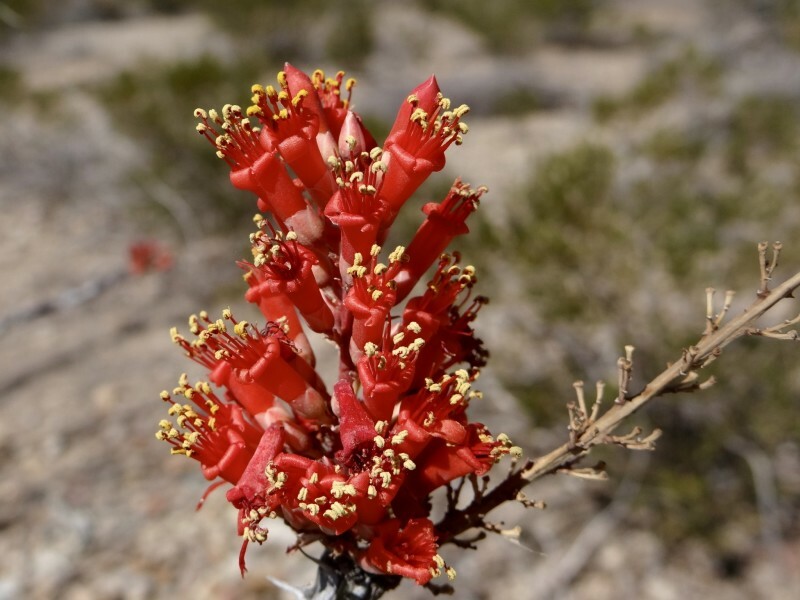 During her hike she stopped and looked closer and noticed the beautiful red “flags” on the ends of each branch and marveled at how lovely the plant was by taking the time to look and discover. 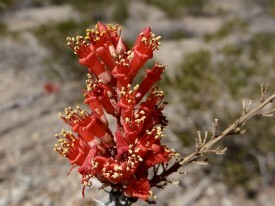 The same comments continued about the many flowering cactus, the century and yucca plants. 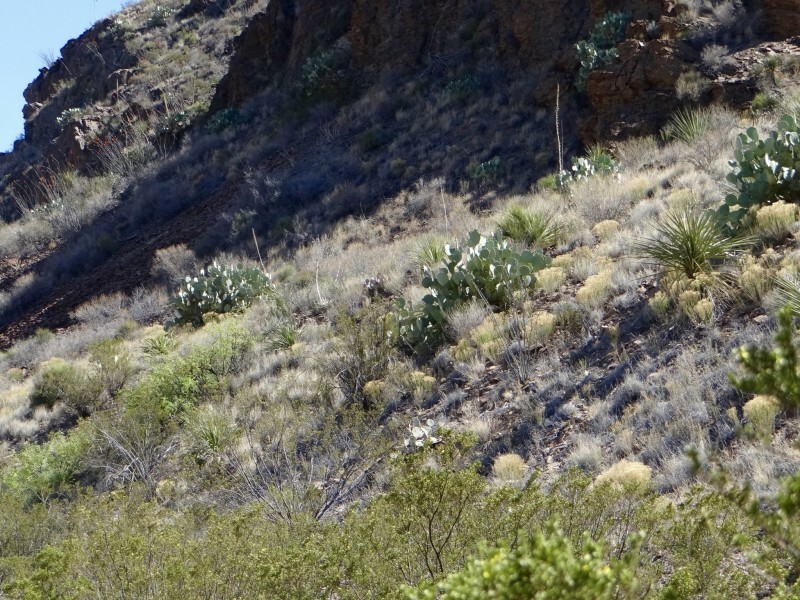 We felt the mountain and desert views alone were thrilling moments. 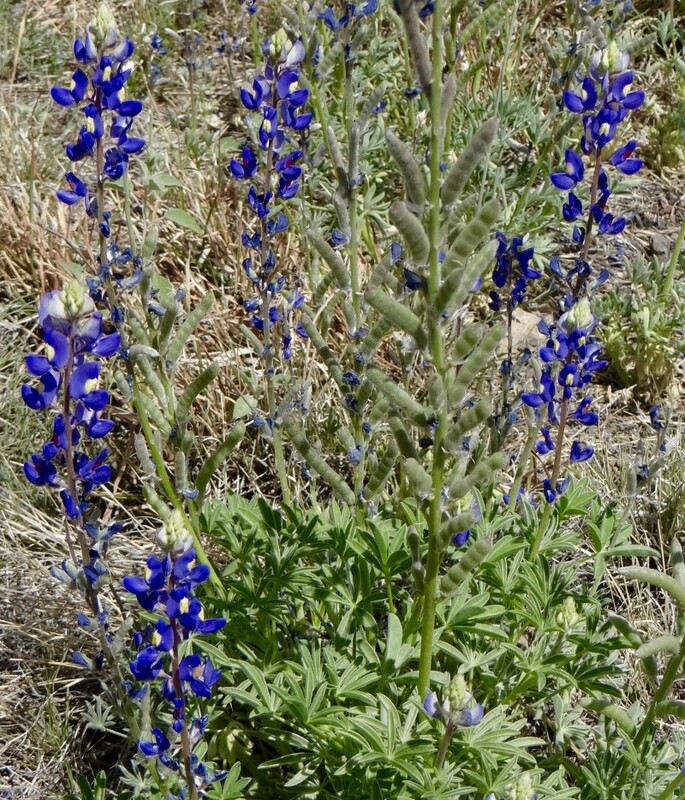 With the posted speed through the park being 45 mph except slower for busier areas, the eye has a chance to see the Big Bend Bluebonnets and other wildflowers. The night skies bear the reputation of being one the darkest in the lower 48 states. As such, Big Bend National Park is a place that nature exists on terms nature decided many eons ago, placing it to be used by man for rejuvenation necessary for a balanced and healthy civilization. This human solitude and refreshment gave rise to the National Park Service. 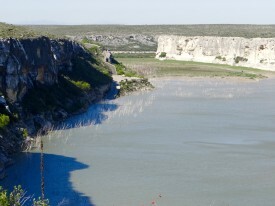 This year marks the 100th anniversary of connecting and educating people while preserving America’s special places.The irony is on June 6, 1944 when the papers for Big Bend Park’s inclusion into the Park Service were presented to President Franklin Roosevelt, it was on the same day as the invasion at Normandy in France during the second world war. Talk about opposites of peacefulness and serenity with fighting an horrific philosophy. Our driving trip started from San Antonio through the Alsatian town of Castroville, Texas. 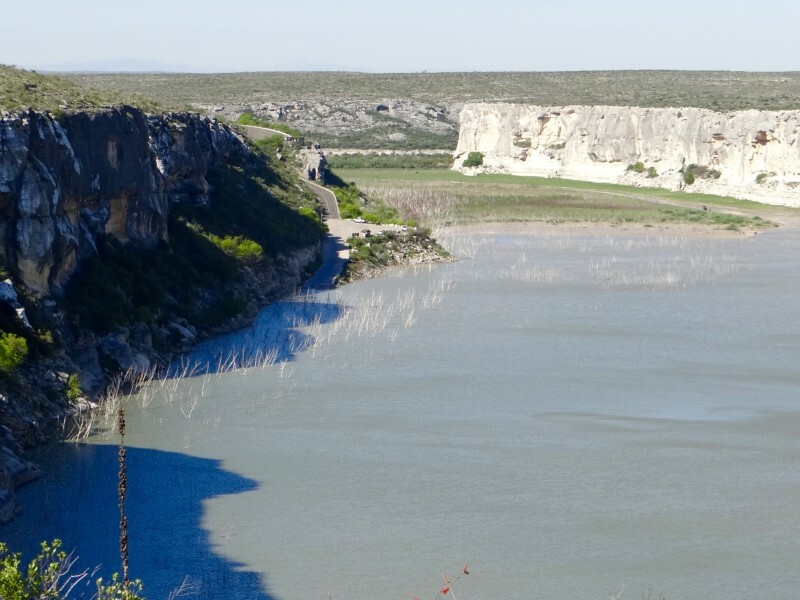 Crossing the Pecos River we stopped at Langtry, a hiccup along Highway 90. 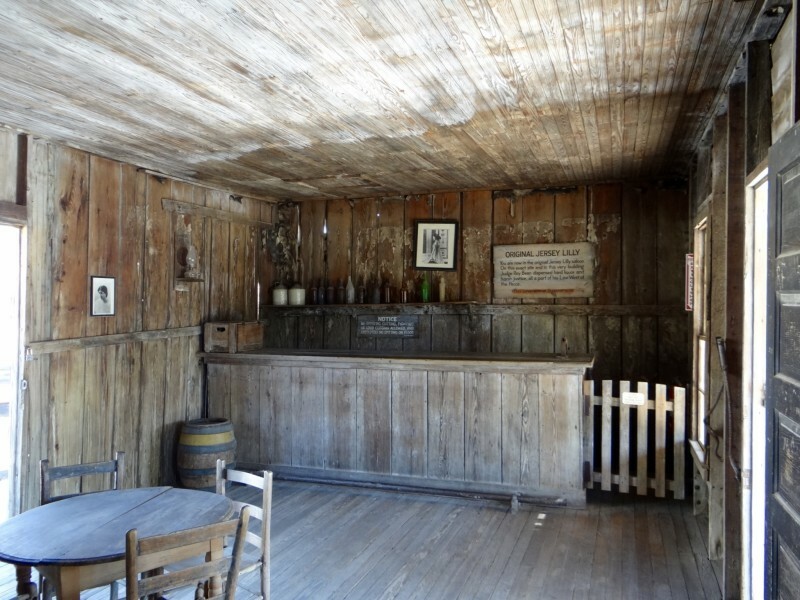 Here is located Judge Roy Bean’s small saloon and museum where he handed out the law “West of the Pecos” from behind his bar. The judge’s law library consisted of a single volume, an 1879 copy of the revised statues of Texas. He seldom used it! On to tiny Marathon and the famous old Gage Hotel. 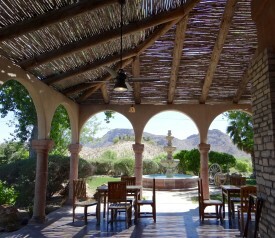 While visiting the park we stayed at the 20,000 acre resort of Lajitas. It's seemingly located out in nowhere! 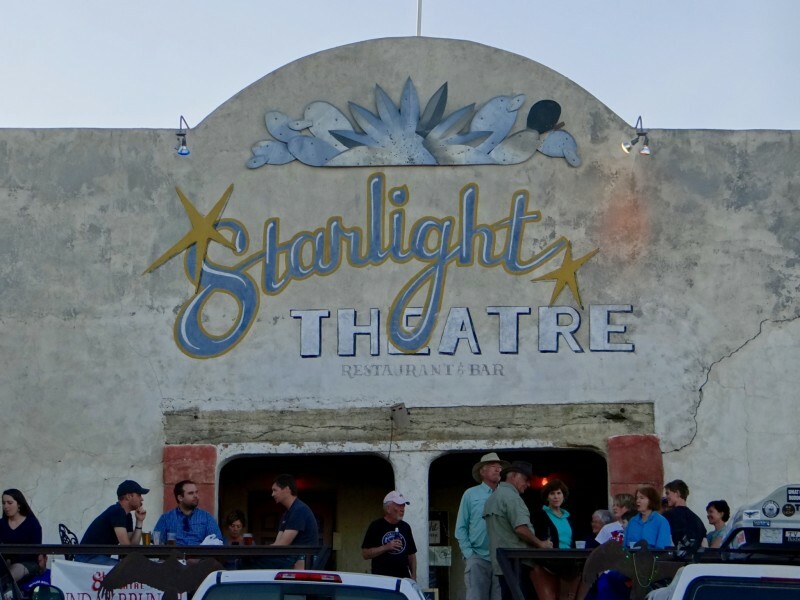 Yet the surrounding scattered community of Terlingua knew and supported each other, gathering at places like the Starlight Theater, a reclaimed adobe now a lively restaurant and bar. Legend says that a group of beer drinking men elected a mayor, Clay Henry who turned out to be a beer drinking goat. After visiting the park we drove through Marfa, a town once shut down with the closure of a military base. Donald Judd purchased much of the base and turned it into the Chinati Foundation, a showcase for many artists and his own art installations. 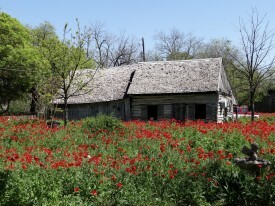 This effort revitalized the town, attracting new art galleries, restaurants and businesses. 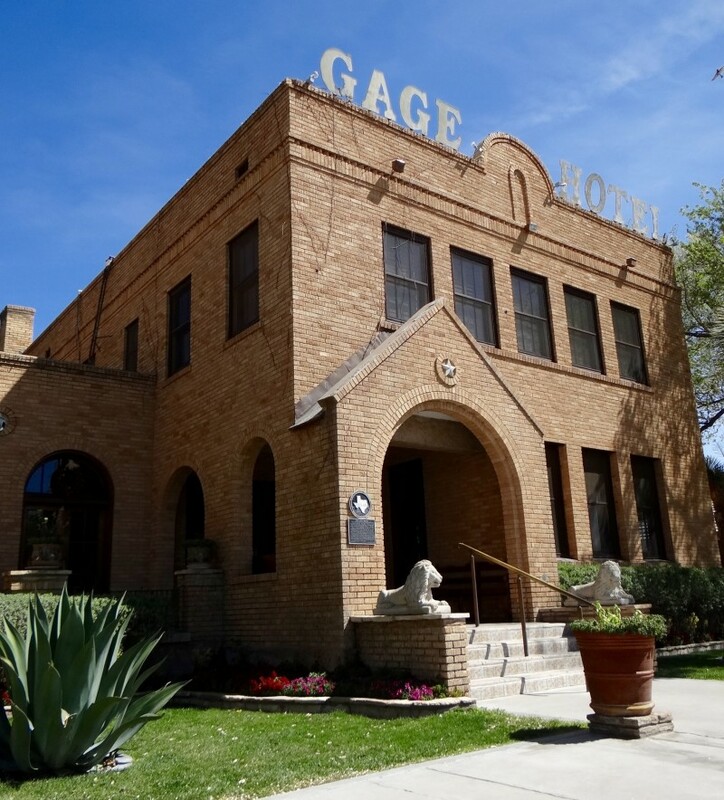 Stopping in Boerne, (Burney), before entering San Antonio, we discovered the Dienger (like “hum dinger”) Trading Co building for a last and special late afternoon meal. On a prominent Main Street corner and a prominent part of Boerne history, with its restaurant, bar, and dry goods (bought some fab boots), owners Raymond and Lisa Lunsford have brought joy to the locals by doing a beautiful and complete renovation on the building that has had much meaning to this town’s history. You can sense that a journey of discovery has its merits. 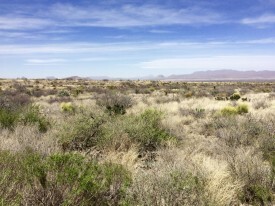 Think of long flat desert horizons that soothe the soul, awesome mountains that jut up out of a seemingly endless desert. Communities of people along the way care for this quieter pace of living with all its rewards of creativity, peace and time for reflection. We felt the sense of discovering things most special; along the roads, views in the distant and within ourselves.